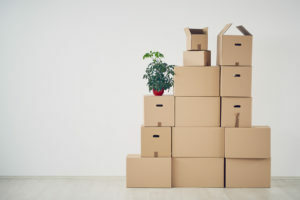 Not everyone has the time to pack and unpack their home or business on their own. Oftentimes, clients are incapable of the lifting that comes with moving. Never fear, Moving By Design offers full service packing and unpacking for our clients. When it comes to Moving By Design’s Packing and Unpacking Service, we take the job very seriously. The whole point in having someone else pack for you is to remove the stress of packing yourself. You need a moving company that stays in constant communication and works with you. The company you need to move your home or office is Moving By Design. The Moving By Design moving team shows up with all the packing materials needed, unless told otherwise. All of your items are handled with the utmost care and are wrapped before being carefully set inside a marked boxed. That means you never have to worry about your boxes being over packed, or being damaged in any way. Learn more below. After the packing has been completed, your boxes and other items are carefully loaded into the truck. The items are secured for the trip to your new home or business space. Remember, the full package is a packing and unpacking service, so our team will help you unpack if you want. We can even help rearrange the larger pieces to your specifications and assemble furniture. Specialty Item Packing: We create a plan to move your most prized possessions and our team does all the work for you, you can even supervise. Because of our years of experience we give your fragile items the care they deserve. Standard moving boxes of all sizes. Mirror boxes: These provide extra protection for moving picture frames, glass tables, and mirrors. Dishpack barrels: Sturdy packaging for moving your china and dishware. Built-in dividers for extra protection. Coverings for furniture, to protect it from snags, tears and dirt. If you wish Moving By Design can pack and also unpack your home. We will put every picture and plate it its proper place. We take all of the empty boxes and trash with us when we leave. That means all you have to do is relax in your new home.